Hello, Beth here! 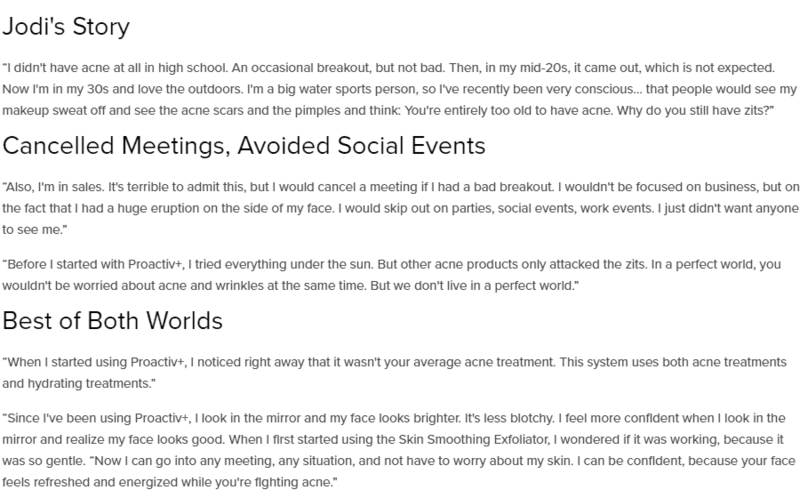 Welcome to my review where I will be discussing one of the most recognizable and top-rated acne treatment brands on the market today. The issue of acne vulgaris is one that dominates the modern world – there are so many people who suffer from this skin ailment on a daily basis. Therefore, there is an obvious massive demand for products and treatment systems. In particular, home treatments are all the rage. Why? Well, because they are far cheaper than going to a medical specialist and they can also be used in the comfort of a person’s own home. 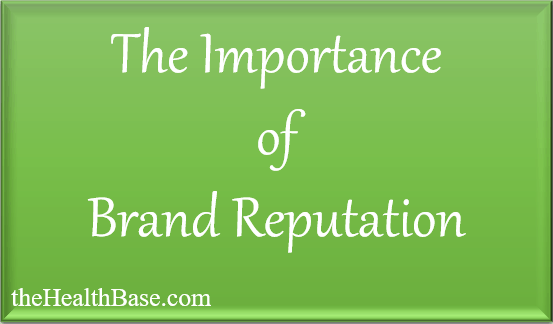 With that said, the vital question revolves around discovering which brand supplies the best home treatment. I will next examine one such option that is a contender to be the answer to this question – that being Proactiv and its treatment systems. The Key Question – Which Treatment System to Choose? Established in 1995, this brand has been a leading figure in the area of providing methods for treating skin ailments ever since. This year saw them reach the 20 million customer mark – something that is a glowing testament of their impact and effectiveness in a niche that is super competitive. 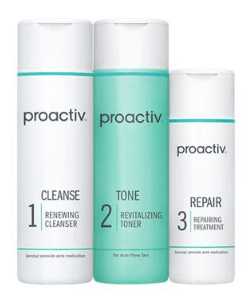 Seen as being the number one rated acne brand in the United States, Proactiv has long since established themselves as a permanent fixture in this niche – proven by their reputation and the countless glowing testimonials and reviews attributed to their products. When it comes to any skin ailment there are two areas of knowledge that are vital for a brand if they’re to produce a competent cure – 1) the nature of the problem and 2) the human skin. This is where Proactive excels. They understand acne in terms of what exactly it is and why it can appear on our skin. In addition, they also understand the human skin in all its varieties, whether it be oily, dry, sensitive, or combination. By bringing these two knowledge bases together, this brand is then ideally placed to come up with the perfect way of treating the issue of breakouts. This brand supply three distinct acne battling home treatments – each that is very effective in their own way. Below I will examine these three. - Uses tiny exfoliation beads to clean out the dirt and bacteria that are ultimately the problems behind a breakout. - Can be used to treat the whole of your face, just make sure to avoid the eye area. - Works to replenish and rehydrate your face after you have cleansed it. - Contains a SPF element which keeps your face safe from the harmful UVA rays of the sun. - Can be applied to the face and neck region. - This is an extra weapon in addition to the cleansing agent. - Topical retinoid medication that is specifically designed to treat acne. - Perfectly suited for adults or children over 12 years of age. - Can be used on all areas of the face minus the eyes – best to apply a thin layer. Might also contain hydrochloric acid in order to adjust the pH levels. Step 1: Apply the Deep Cleansing Face Wash: this will exfoliate your pores and remove the inflammation associated with this bacterial infection. Simply apply a small amount of the gel to your fingertips and gently rub it into your face for a minute or two. Then rinse your face with some lukewarm water. Ensure that your hands are clean and that the water isn’t too hot!! Step 2: Apply the Daily Oil Control Moisturizer SPF 30: next you will need to replenish your skin with the vital nutrients that have been removed in the exfoliation process. Apply it liberally and to all areas of your face. This moisturizer can be used before or after applying your makeup and is super quick at being absorbed into your skin. Step 3: Apply the Adapalene Gel 0.01%: can be used before or after applying the moisturizer. If you have sensitive skin, then it’s advised you apply a moisturizer before this gel. Cover the entire affected area with a thin layer of this product and allow to dry. It takes very little time in which to do so. Breakouts will be a thing of the past! Keep up the usage for another 6 week period to ensure that the acne is banished from your life! - This is a preparation tool for the acne-clearing product that is also included in this system. - It works to clear the canvas of any dirt, excess oil/sebum, dead skin cells, or other impurities. - Use this to wipe away any remaining unhealthy elements as well as boosting your skin with a blast of energizing ingredients. - Apply it all over your face and allow it to dry. Do not rinse off. - Finish off this treatment by using micro-crystal benzoyl peroxide which will vigorously attack the bacteria that is the crux of this problem. - Again, apply this to every affected area of your face and do not rinse off. Step One: Renewing Cleanser – apply twice daily, once in the morning and once at night. Apply a small amount to your skin, ensuring that you have first wet your skin’s surface. Use your fingertips to gently massage this gel into your face. Finish by rinsing your face with warm water and gently pat dry. Step Two: Revitalizing Toner – also apply twice daily as above. Best to use this toner directly after the Cleanser. Use on the whole of your face. Using a cotton pad or clean cloth, apply this toner and leave it on so it can dry. Do not rinse off. Step Three: Repairing Treatment – cover all the affected areas with a thin layer of this gel. This can be used up to three times a day. The best practice is to start with one application a day and then gradually increase it to three. This is simply so as to allow your body to get used to the new treatment type. - This product prepares your skin for the incoming bacteria-clearing product. - It helps to clear your facial canvas of any unwanted substances that may be clinging to the surface layer of your skin. - This is the star of this particular treatment system as it works to actively attack the bacteria that comes from this problem. - It injects its specifically designed formula directly into your pores where the battle for your skin’s health is waged. - Exfoliating can be tough on the skin, this is why it's key to use a top-quality moisturizer afterwards. This particular moisturizer has been specifically designed to be used with an acne treatment kit. - It works to hydrate and re-energize your skin while ensuring that no blockages of your pores will take place. Step One: Cleanse: Skin Smoothing Exfoliator – apply some of this product to your fingertips and gently massage it into your face for a minute or so. Ensure that you skin is wet beforehand. Step Two: Treat: Pore Targeting Treatment – this acne killing serum is best applied in a similar fashion as the Cleanser. Gently massage a liberal amount into all areas of your face. However, unlike the Cleanser, do not rinse of this serum and instead allow it to be fully absorbed into your skin. Step Three: Repair: Complexion Perfecting Hydrator – after you’ve treated your acne, it’s now time to hydrate your skin and replenish it with all those vital vitamins and nutrients. Apply liberal amounts of this moisturizer to your face every time that you exfoliate with this system. Allow it be absorbed into your skin which it will do very quickly. OK, so as you can see, I have outlined the ins and outs of the three treatment systems that this brand has to offer. At this point I’m sure you’re musing as to which one is the best option? 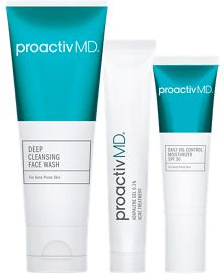 Well, all three are very effective at treating this issue, but, in my opinion, the Proactiv+ 3-Step System is the way to go. Why? Simply because this is this brand's latest system – this means that they’ve taken the best elements from earlier kits, combined them with new technology and knowledge, and then instilled them into this latest product range. Also, this system comes in three unique forms which are catered for specific cases. You can see this below. A nifty element to this brand is that they offer a free gift with every purchase. These gifts are acne related products that serve to enhance your treatment. They are by no means vital or necessary to the healing process, but they are certainly very welcome, as are most free gifts. This cool little pack includes a purifying serum which works in-conjunction with a Body Bar to absorb excess sebum/oil. Such oil is very detrimental as it blocks pores and also can cause bacteria to spread. Also, these products come in a handy carrier bag for convenience. This brush has charcoal-infused bristles that remove any unwanted debris from your face. A cleansing Body Bar works to treat the acne efficiently while the Green Tea Moisturizer will add nutrients and hydration to your skin. This extra addition works great to extract and remove any nasty elements that might be sticking to your skin. Created using activated bamboo charcoal and Moroccan lava clay, this mask is perfect to reduce the size of pores and make the skin more toned. 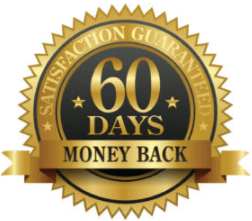 This brand offers a 60 Day Money Back Guarantee which is an exceptional warranty length in this particular niche – most offers only come in at 30 days. This ultimately means that you could try out one of this brand’s treatment systems for two months, then, if you’re not happy with the results, avail of a full refund! The only thing that you’d have to do is to return the product bottles. It doesn’t matter if they’re full, half full, or completely empty. Overall this is a brilliant addition as it completely removes any financial risk. It also goes to show just how confident this brand is in their products. Is it worth signing up for a membership? Discounted Prices: members avail of a cheaper price when it comes to the products and kits on offer. Automated Orders: every 12 weeks you’ll receive a new batch of your preferred option at a cheaper price. This overall removes the need to reorder as well as the risk of forgetting to do so. You will also have the option to pay in three installments rather than one lump fee. Full Customization: you can make changes to your order at will. This is a great way to upgrade your treatment and experiment with the different products that this brand has to offer. 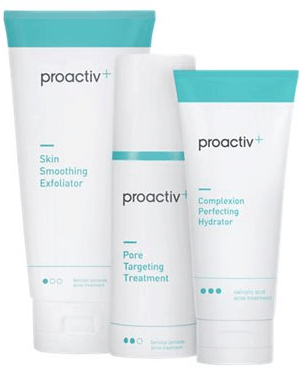 Monthly Promotions: Proactiv are constantly running deals and coupon offers. These will be sent directly to your email if you become a member. Schedule Shipments: You have ultimate control over when you receive your next batch. This is perfect if you find yourself running out for whatever reason. Are these treatments FDA approved? Yes, all of the products supplied by this brand have been FDA tested and certified. Have the kits been Dermatologically tested? The products and kits have all been dermatologically tested to the highest standard. What package types are available? Each home treatment kit is available in a 30-day and 90-day bundle. Everyone’s skin is different but normally you will start to see the impacts within week 1 – 6. A lot of people have experienced positive effects within the first 2 weeks. Are these products suitable for all skin types and ethnicities? Yes. These products have been created to suit all the different types of skin, no matter the complexion or ethnicity. 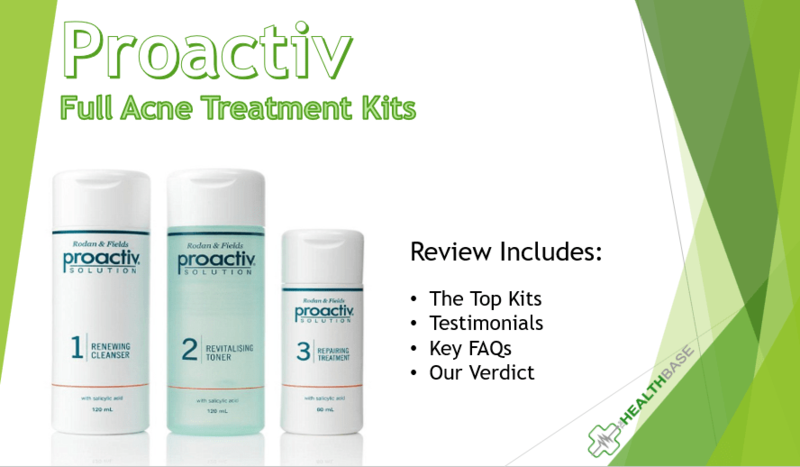 BOTTOM LINE: If you’re looking for a treatment system for any type of acne related issue, then you really cannot go wrong with trying a Proactiv home treatment system. All of their products have been proven without doubt to combat the bacterial infection that essentially is acne with the aim of restoring your skin to optimal levels. In addition, the 90 Day Full Money Back Warranty completely removes any financial risk. This seals the deal in my opinion.